Can Diabetes Patients Benefit from Using Medical Marijuana? Can Diabetes Patients Benefit from Using Marijuana? Diabetes results from the body’s inability to produce or respond to normal levels of insulin, a hormone responsible for controlling blood glucose (blood sugar). Excess glucose accumulates in the bloodstream when either the pancreas can’t produce enough insulin (Type 1 diabetes/juvenile diabetes), or muscle and liver cells no longer respond to insulin’s message to pull glucose from the blood for storage or use (Type 2 diabetes/adult onset diabetes). This leads to hyperglycemia (high blood sugar) which can be dangerous as well as causing many devastating long-term complications like stroke, heart disease, kidney failure, blindness, or painful nerve damage (neuropathy). Diabetes is typically managed through exercise, dietary restriction, medications, and Insulin shots. What medical researchers are now finding is that Cannabis may be a worthy addition to that list. 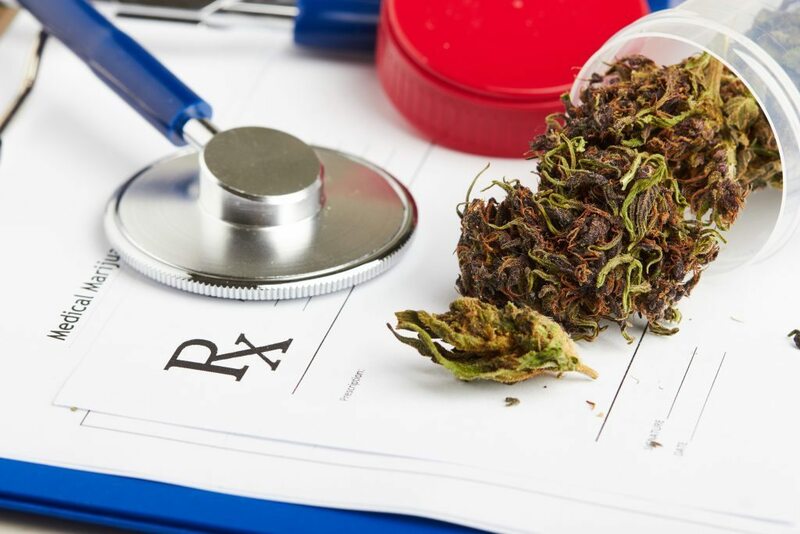 If you have diabetes, medical marijuana may be able to help you manage your symptoms – and even if you don’t, marijuana could potentially reduce your risk of developing diabetes in the future. In 2013, the American Journal of Medicine published a long-term, large-scale study examining the relationship between blood sugar, insulin, and insulin resistance (IR). The study examined more than 4,650 adult men and women from 2005 to 2010, of whom about 12.5% (579 study participants) were current Cannabis users. Each participant’s fasting insulin and blood glucose levels were measured after fasting for nine hours. The study found that the participants who were current marijuana users had 17% lower IR and 16% lower fasting insulin levels than participants in the non-using group. 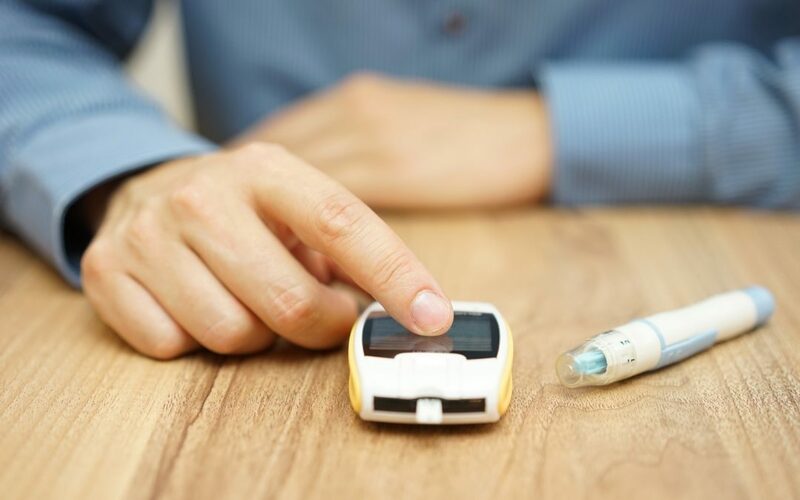 This is significant because high fasting insulin levels can be an indicator of prediabetes, while IR can result in elevated blood glucose levels as the body’s cells fail to absorb glucose normally, leading to a glucose accumulation. Put simply, these findings indicate that Cannabis users are at decreased risk for developing diabetes. Moreover, the study found “significant associations between marijuana use and smaller waist circumferences,” which is important because being having a larger waist circumference is a risk factor for diabetes. This isn’t as simple as “overweight equals increased risk,” either, because the amount of fat isn’t the only factor in play – it’s also the distribution of that fat, which waist circumference can help gauge. In a nutshell, people who carry fat around their abdomen are at higher risk of developing diabetes or cardiovascular disease than people who carry fat around their thighs and buttocks, which helps explain why men are typically more susceptible to heart disease than women. While it’s obviously healthy to shed excess weight from any part of the body, it is especially beneficial to burn off belly fat. Using marijuana can help prevent you from accumulating belly fat in the first place, which has positive implications for diabetes and cardiovascular health. THC (tetrahydrocannabinol), CBD (Cannabidiol), and other “active ingredients” in marijuana are chemical compounds called Cannabinoids. These Cannabinoids bind to CB1 receptors (which are mainly located in the nervous system) and CB2 receptors (which are found throughout the body, including the gastrointestinal system), which are part of your body’s “endocannabinoid” system. This impacts functions and sensations ranging from sleep to hunger to mood to perception of pain. In 2006, Autoimmunity published a study best summarized by its title: “Cannabidiol lowers incidence of diabetes in non-obese diabetic mice.” More specifically, the study found that “CBD can inhibit and delay destructive [pancreatic disease]… resulting in a decreased incidence of diabetes.” The study authors believed this may be attributable to changes in the body’s immune response. While promising, this research deals strictly with mice, and has yet to be translated into practical applications for the treatment of diabetes in humans. However, while a Cannabis-based drug for diabetes may still be on the horizon, we do have evidence that marijuana can improve, in human subjects, diabetes-related neuropathic pain (chronic pain caused by nerve damage). You can see some examples for yourself in my article about medical studies on Cannabis for diabetic neuropathy. If your quality of life is being negatively impacted by diabetes, diabetic neuropathy, or diabetes-related glaucoma, you may be a good candidate for medical Cannabis in Massachusetts. Call Dr. Tishler at (617) 477-8886 to start discussing the health benefits of medical marijuana in a private consultation. In your article, you stated that the study found that the participants who were current marijuana users had 17% lower IR and 16% lower fasting insulin levels than participants in the non-using group. My cousin has been having a lot of problems with his blood sugar levels lately and doesn’t know what to do. In states that have approved medical marijuana are there certain requirements that each patient must meet before being prescribed this? Yes, most states where Cannabis treatment is legal have rules about what sort of illness can be treated. While I think that generally this sort of regulatory control over physician’s expertise is inappropriate, each state does have its own rules. None of the states include diabetes in the treatable conditions, except perhaps for treatment of diabetic neuropathy pain. Further, only last week a good study was published showing no relationship between Cannabis use and benefit to insulin or glucose levels. So, the idea of treating diabetes with Cannabis remains to be seen.